Your logo defines you as a professional business, so it's important to have one that depicts quality and offers a good lasting impression. Designing logos is one of the most enjoyable projects for me as I get to work with all types of sectors and services. I've created logos and brand identities for restaurants, online retailers, professional service companies and more. Over the years I've picked up many tips on creating the perfect logo and the most important one for me is to ensure your logo works at the smallest size possible to maximise your brands visual identity (I'm thinking social media here). I see so many logos nowadays where this is not possible. To give you an idea about how I work, I thought I'd give some insight in to my logo design process. I've used a real world project here - Aysia Fashion, an Asian fashion boutique selling all kinds of dresses and accessories. As with any project, I need a brief. This would include details about what your business offers, the industry, its aims and strengths. I'd also find out about your competitors, any colours to use/avoid and any existing promotional materials you may have. Mood boards are collections of anything visually related. For example, if you were an accountant I may research other related businesses and find blue and green are the most common colours in your sector and perhaps red is a negative representation. I may also find that san-serif fonts are more appealing. 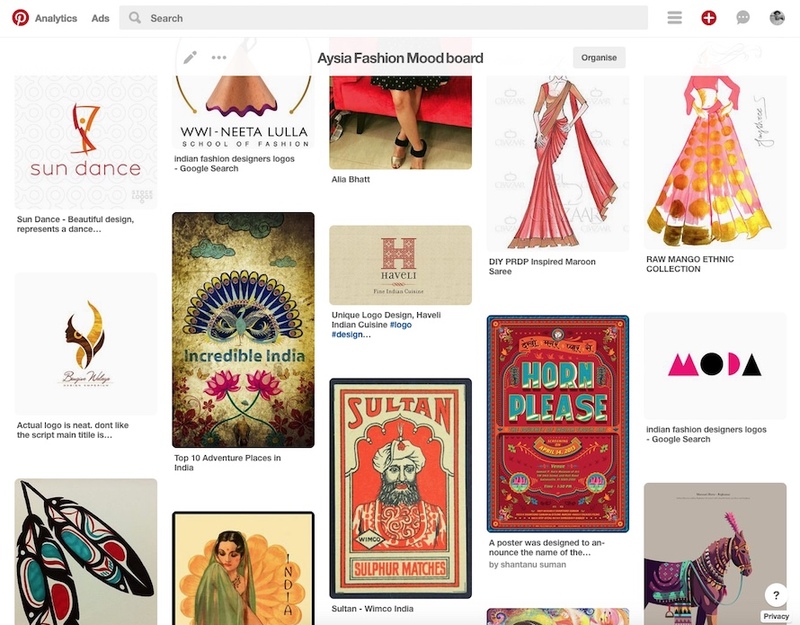 The mood board would help me create concepts suitable for your business and are usually created on Pinterest and shared with you. I spend some time sketching out concepts on paper which will be shared with you for feedback. Sketching ensures we are on the right lines, but if we need to rethink our ideas we can do so before any digital work begins. Below is a small sample of some of the concepts I sketched for Aysia Fashion. When one of the concepts has been selected, I begin creating the digital version in Adobe Illustrator or Affinity Designer making any revisions as I go along. 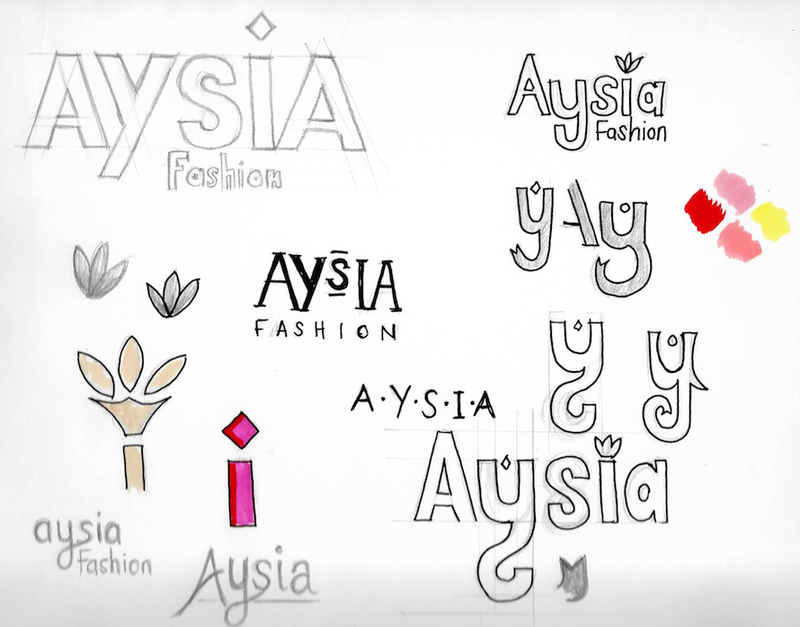 Below is my process for building the Aysia Fashion logo which outlines the refinements made to ensure the logo looks clean and smooth. To complete the project, I export all the necessary formats suitable for web and print in high resolution. SVG (if logo is compatible) - A scalable vector graphic format suitable for the web. TIFF - Image format useful when working in Adobe Photoshop. EPS - This is a vector file meaning it can be opened and edited in Adobe Illustrator or similar. It is scalable to any size; large or small. A logo is something that represents an idea or a picture - there should be some thought and reason behind its design and style that connects with and relates to your business. Although some companies offer a distinct set of logo packages, I prefer to quote each logo project individually. In my experience I have never had a Client come to me knowing exactly how they want their logo to look, so packages make no sense to me.